We are a modern custom tattoo studio, located in Stoke-On-Trent, Staffordshire. 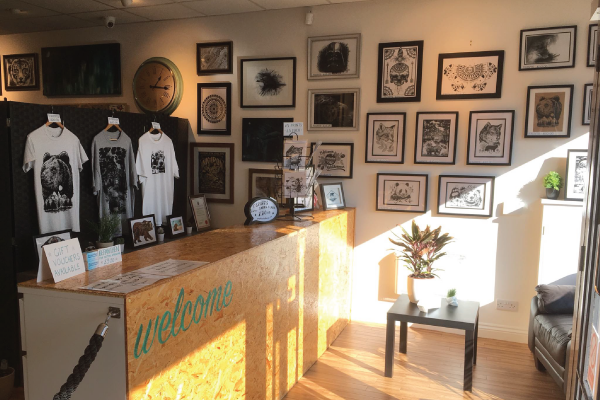 Owned and operated by Callan Leavesley, prioritising hygiene, customer service and high-quality tattoos. 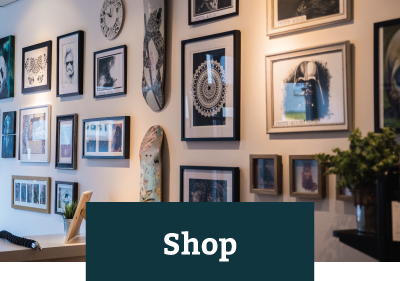 We also stock prints, clothing and accessories designed at the studio, which can be purchased in-store or online. Find us on Facebook and Instagram to follow our updates, tattoos and artwork. 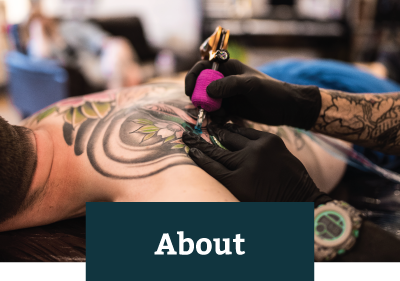 With years of experience, you can rely on us to give you the best possible advice whether you are getting your first or fiftieth tattoo. We cover a wide range of styles including realism, black and grey, traditional, neo-traditional, Japanese, abstract, script, cover-ups and more. We put our heart into producing timeless tattoos with plenty of style. 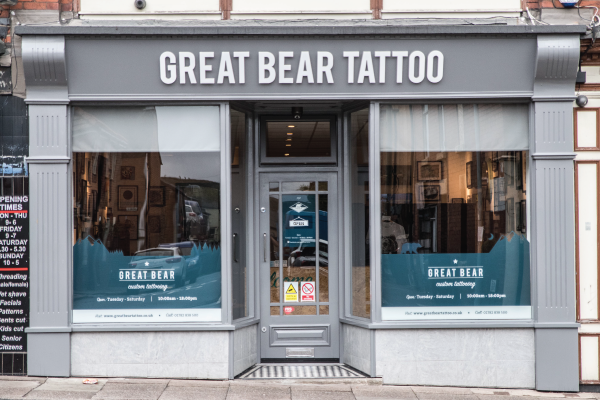 Great Bear Tattoo is open Tuesday – Saturday 10:00 – 18:00 for appointments and consultations. 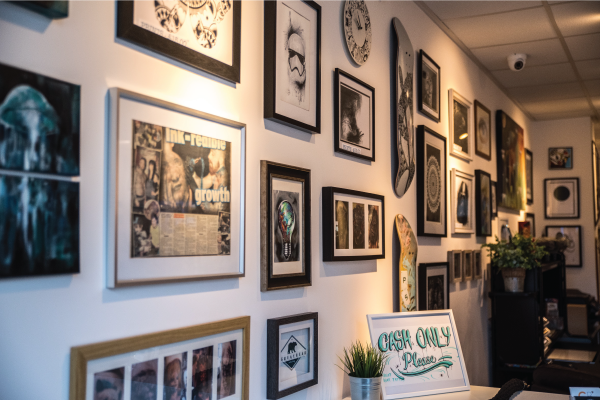 We are an open plan studio with an open door, so you’re welcome to pop in and have a chat with us about creating your tattoo ideas anytime. All of our work is done by appointment only, with a deposit needed to secure the slot. 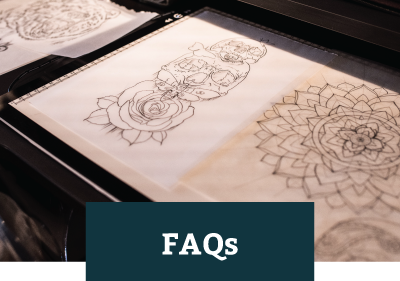 When enquiring about a tattoo, try to include as much information as possible. To find out more, please see our FAQ page.